Many researchers have highlighted the positive impact access to green space can have on our physical and mental health. 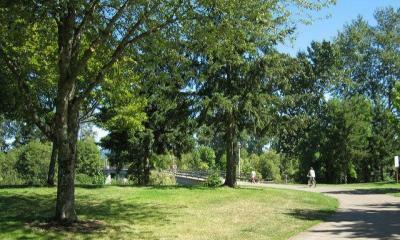 In urban environments, green spaces play an even more important role in reducing stress levels and improving wellbeing. As well as improvements to health, green space has also been shown to have a positive impact on house prices. A 2014 study in Belfast found increases in value of nearly 50%, while a similar study in London found an average uplift of 4%. So, there is no denying the various benefits that come with access to nature, especially in urban areas. While there is a wealth of lush green space to be found throughout the UK, some areas have considerably more than others. But where has the most? 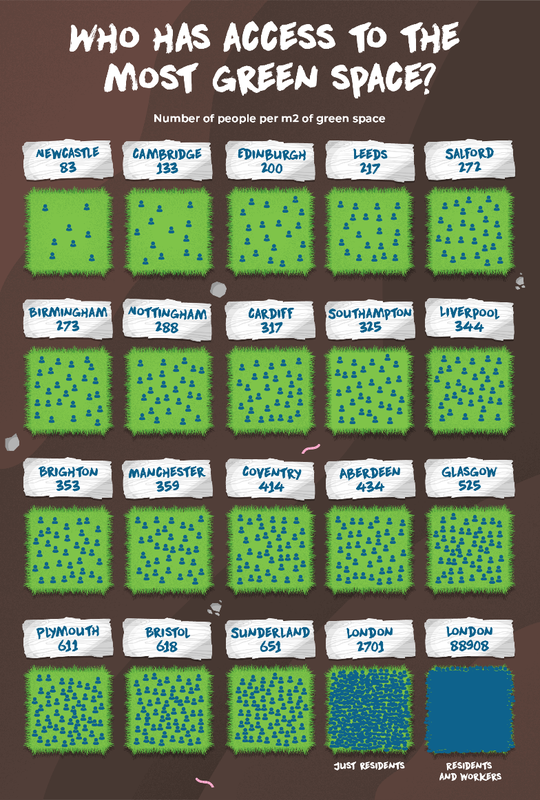 Utilising data from Ordnance Survey, Jurys Inn have looked at some of the biggest cities in the UK to see how much open green space they have. Which is the UK’s greenest city? 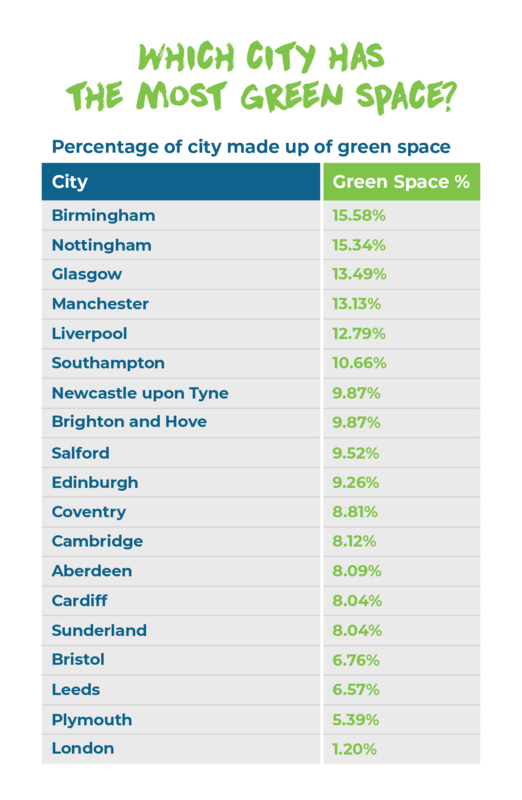 According to the Jurys Inn study, Birmingham comes out on top, with an impressive 15.58% of the Brummie city being made up of open green space. With over 8,000 acres of green space, including 93 parks, 242 play areas and 18 golf courses, it’s no surprise to see Birmingham take the crown of the UK’s greenest city. 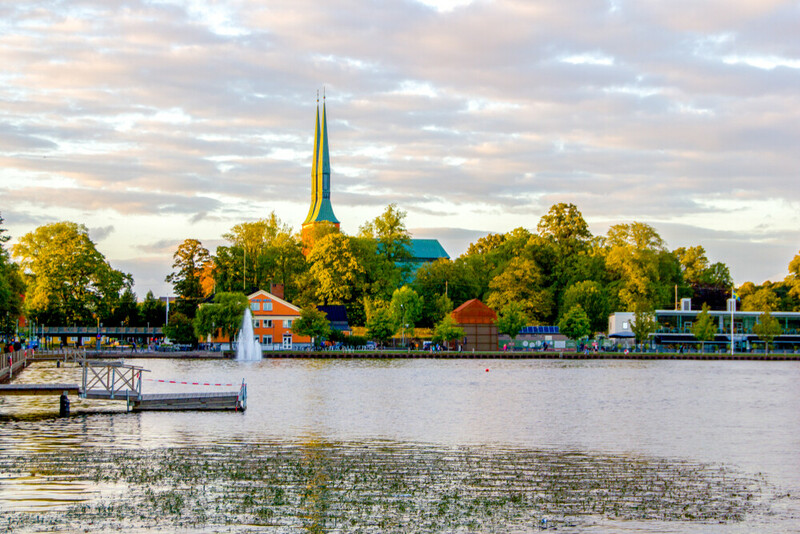 Coming in second place is Nottingham, with 15.34% of the city being made up of open green space. 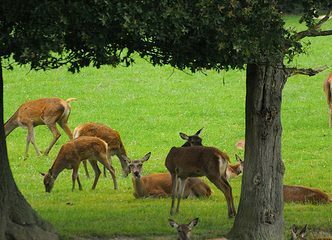 This ranges from the 511-acre Wollaton park all the way down to the tiny Commercial Road park, which comes in at just 0.15 acres. Next up is Glasgow with 13.49% of green space, making it the third greenest city in the UK, and the greenest city in Scotland. Looking further than just Glasgow, the data shows that Scotland has 1,112 km2 of urban green space, which is the equivalent of 160,000 football pitches. North West rivals Manchester and Liverpool make up the rest of the top 5, with 13.13% and 12.79% open green space respectively. At the other end of the scale, the City of London takes last place, with only 1.2% of the City’s area being made up of open green space. Despite having a large number of impressive high-rise office blocks and skyscrapers (with a record 510 planned in for construction over the next decade), when it comes to green space the City offers up just eight small parks and two play areas. However, with a population of over 1.1 million people, Birmingham is also one of the most highly populated cities in the UK. So, despite having plenty of green space, it’s shared between a lot of people! With this in mind, Jurys Inn looked again at their chosen cities, adjusting the calculations to take the population of each area into consideration. In this new ranking, Birmingham no longer holds the top spot, dropping from 1st place to 6th, with 273 people for every 1m2 of green space. Meanwhile, Newcastle climbs from 7th place up to 1st. The Geordie city has a population just a quarter of the size of Birmingham’s (an estimated 295,800 people, compared to 1.1 million), meaning there are just 83 people for every 1m2 of green space. 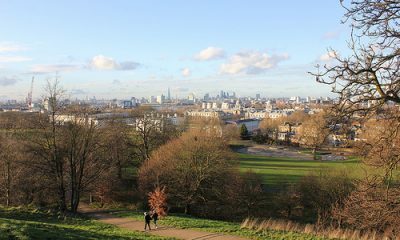 In this new ranking, the City of London holds on to last place, with 2,701 residents for every 1m2 of green space. However, when you take into account the number of people who work in the City of London but don’t actually live there, it gets even more crowded. As the central business district, it’s estimated that a whopping 300,000 people come into the City each day to work. So, on an average day, there are actually 88,908 people for every 1m2 of green space! You can find out more by visiting the Jurys Inn website. The research was completed using data from Ordnance Survey. The publicly accessible database and accompanying digital map lists every green space and outdoor recreation facility across England, Scotland and Wales, including public parks, gardens, playing fields, children’s play areas, golf courses, bowling greens, and allotments. 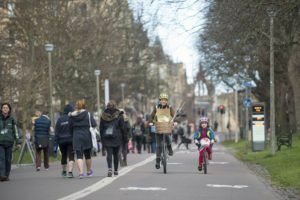 The new facility represents an updating and extension of the Scottish Greenspace Map, released by Greenspace Scotland and the Scottish Government in 2011, which was the first of its kind in the world. 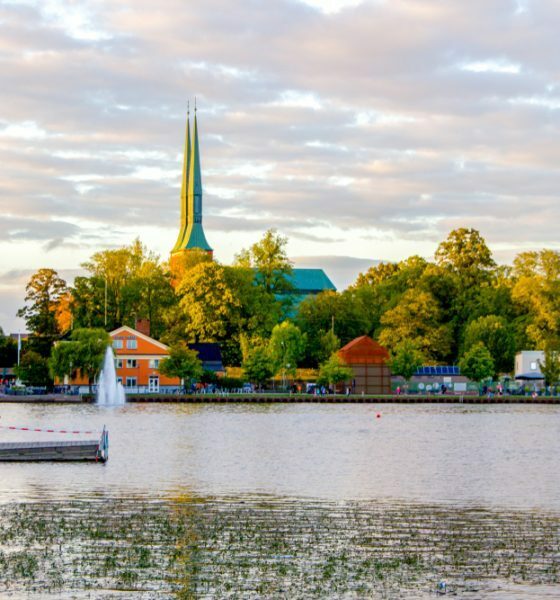 The idea behind the database and map is to enable people across the country to discover greenspaces near them, while also enabling software developers to create products and services that will encourage healthier and greener lifestyles. The complete dataset, as well as the digital map is available to the public on the Ordnance Survey website.